A team of dedicated web designers & developers who love building web solutions that stand out! We produce website solutions to small-medium sized businesses in both Canada and the UK utilizing the latest techniques. We specialize in WordPress Responsive websites. We are based just outside Okotoks & Calgary in Alberta, Canada. Website prices can vary depending on the scope of the work so its impossible to give a standard price. We can work within your budget though to help you get the maximum bang for your buck! We also have a handy web quote estimator that can help give you a base price to start with. We have many options to fit any budget and specialize in helping small and medium businesses build an on-line presence. A website is an investment for your business, think of it as an extension of your company, an employee that is working 24/7, 365 days of the year. It wont take sick days or go away on trips. Its a window to let customers know who you are and why you do what you do. It can be used to interact and communicate with your customers as well as advertise and sell your goods and services. The biggest mistake we see are clients who purchase a website just because they think they “need” one. Once they have it they do not bother with it after that and then are surprised that it hasn’t generated them any sales or the folks who purchase a $100 website and then again don’t understand when they are not getting any conversions from their site. A website like any other tool in a business needs to be utilized. This is an on going process. The web as evolved and involves a lot more then just having a website in today’s technological age. We will help you every step of the way. We handle setting up social media channels, if you do not have them, and integrate them with your website to allow you to reach your target demographic. A well built website by us will help you generate more revenue in the year then you spent on the initial build and can be used to help you find new clients as well as help showcase who you are and what you do. Need a website in Calgary today? Contact us now! You should never get a website just for the sake of having one. It needs to be used to ensure it It is a tool for expanding the reach of your business even if that is just locally. Everyone is online in this day and age so a website when used correctly can increase sales and be a point of reference for existing and future clients. Calgary/Okotoks Website design that is..
Easy on the eye – i.e no flashing annoying images. Need a website quote? Use our free estimator to get a rough idea on the price. Submit the form and we will can then arrange a meeting to go over your requirements in more detail and give a more accurate price. No matter the size of your business we can help! From large organizations to small start ups, no matter your size we can help your business thrive online. Sell your products or services online! We build e-commerce sites which are simple to use but rich in features. Choose from a variety of payment gateways and offer your customers a choice of shipping options. You can even generate order reports to monitor your online sales. We build all our sites using the latest web standards such as HTML5 and CSS3. 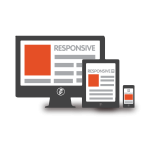 We offer a variety of different options in regards to mobile and responsive sites. Please contact us for details. 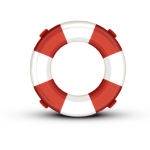 On completion, we offer first-class support and guidance on how to manage and get the best from your new web site. We offer phone support, email support, as well as a rapid-response ticket system. Check out our website support page for details. We had already transitioned to a web site that was able to be managed by our internal staff and as a school division became frustrated by the way that it worked. We were also unhappy with the appearance as it was lack-lustre and difficult to navigate. We’ve had endless compliments on the site’s appearance as well as its ease of navigation. Dragon Art Design has my recommendation! Dragon Art Design worked with me extensively on the design of the website for Christ the Redeemer Catholic Schools. I found them to be responsive, knowledgeable, personable and easy to work with. I look forward to working with them on future projects. EZSites – Websites for Schools! We have refined and manipulated WordPress to make it the ideal platform for keeping parents connected and updated with school news, activity and events. Click websites for schools link to find out more.